Policy coherence is essential to achieve the 17 Sustainable Development Goals (SDGs) of the 2030 Agenda. We recommend that the G20 (a) puts policy coherence for sustainable development (PCSD) to the forefront of its actions and (b) focuses on policy areas, where coherent actions can make a difference. Priority should be given to (i) improved coherence in the context of trade and investment policies, (ii) a comprehensive approach towards climate policy that extends beyond climate targets, (iii) these issues in the context of the partnership with Africa, and (iv) the policy coherence set-up within the G20. regarding the domestic and external dimensions of policies and related impacts (e.g. the impact of trade policies on growth and employment at home as well as abroad). Policy coherence requires the recognition of interlinkages between goals, including those with crosscutting targets – most notably the objectives of ‘leaving no one behind’ and reducing inequality within and among countries. The identification and assessment of these interlinkages is a precondition for coherent policies that foster synergies, avoid or manage trade-offs, and address spillovers between different SDGs. For effective and coherent policies, possibly across different sectors, the recognition of the importance of interlinkages is only the first step. In fact, the ‘G20 Action Plan on the 2030 Agenda for Sustainable Development’ mentions and cross-references multiple SDGs under each of the 15 Sustainable Development Sectors (SDSs), as defined by the Action Plan. The next step to achieving the 2030 Agenda is to break up both ‘policy silos’ and ‘silos in government’. The G20 has undertaken initiatives in this regard – for example, through the ‘Multi-Year Framework for Policy Coherence and Coordination on Human Resource Development between the G20 Development and Employment Working Groups’. These ‘whole-of-government’ approaches can overcome silos and provide the basis for designing and implementing coherent sets of policies that can otherwise fall under the auspices of one or several separately operating ministries, work streams, or other administrative units. The G20 Action Plan on the 2030 Agenda explicitly acknowledges the need for such approaches; however, more can be achieved. The German presidency’s proposal to elaborate specific G20 contributions for implementation in each SDS entails the risk that insufficient attention is paid to coherence. The 2030 Agenda was agreed with the express goal of ensuring the concepts of universality and moving towards a more transformative agenda. Instead of drawing up a potentially eclectic list of sectoral contributions, we recommend that the G20 (a) puts policy coherence for sustainable development at the forefront of its actions and (b) focuses on key policy areas where its actions can make a difference. The resulting policies will harness synergies and address trade-offs between (i) policies in different spheres at the global and national levels and (ii) different targets. G20 leaders should make use of their unique position and comparative advantage to tackle overarching issues. The following proposals put the focus on trade and investment policies, on the one hand, and climate policy, on the other. In these two policy fields we see not only an urgent need for action to achieve progress towards the SDGs but also a key role for G20 members. Paying attention to policy coherence will render policies much more effective. We further specify these actions with a particular focus on Africa and, finally, lay out some proposals on how to foster policy coherence in the G20. Trade and investment policies are at the core of the G20 agenda. In light of the G20’s Action Plan and the focus in the SDS ‘Trade and Investment’, G20 members should support a more proactive positioning of trade and investment policies that can help to achieve the SDGs in their respective countries and elsewhere. While the Annex of the G20 Strategy of Global Trade Growth underlines the need to generate coherence between trade policies and investment policies, it does not indicate the need for policy coherence for sustainable development. Yet, trade and investment flows – and G20 countries account for around 80 percent of these flows – shape the global patterns of production and have multiple impacts on and interlinkages with different SDGs. Trade policies can entail many synergies . For instance, providing duty-free and quota-free market access to least developed countries (LDCs) helps to achieve SDG 17.12 (‘Realize timely implementation of duty-free and quota-free market access’) but can also contribute to the achievement of other goals, such as SDG 8 (‘Promote sustained, inclusive and sustainable economic growth, full and productive employment and decent work for all’). Moreover, reforming trade-distorting subsidies fosters sustainable development. For example, (i) ending distortions in world agricultural markets (SDG 2.a) can promote food security (SDG 2), whereas prohibiting harmful fisheries subsidies (SDG 14.6) can help to conserve marine resources (SDG 14); meanwhile, reducing fossil fuel subsidies can promote sustainable production and consumption (SDG 12) and contribute to combating climate change (SDG 13, SDG 7). Yet, trade policies can also create trade-offs in the context of sustainable development. In light of recent trends towards protectionism, the G20 should underline that protectionist trade polices put into question pathways for economic development (in particular SDGs 8 and 9). The impacts on growth and employment at home as well as the effects abroad have to be taken into account. Taking the 2030 Agenda seriously can help to change the narrative around international trade (‘leaving no one behind’). This could involve underscoring the fact that trade policy losers, and globalization more generally, should be supported, for instance, through adjustment, education, and social policies. Overall, the 2030 Agenda presents an enabling framework for the international trading system. For instance, Goal 17 promotes a universal rules-based, open, non-discriminatory, and equitable multilateral trading system under the World Trade Organization (WTO) (SDG 17.10). At the same time, the WTO is increasingly undermined by the ever-increasing importance of bilateral/regional trade and investment agreements, in particular towards the developing world. Fostering coherence between trade and investment policies, the international trading system and the aspirations of the 2030 Agenda is a formidable challenge that cannot be tackled effectively either in the context of the WTO or the UN alone. The G20 forum is suitable to help these institutions bridge that gap. The G20 brings together most of the important trading nations and has an institutional structure (including the Trade and Investment Working Group) that can facilitate discussions about coherence, reform needs, and policy options in the context of trade and investment. 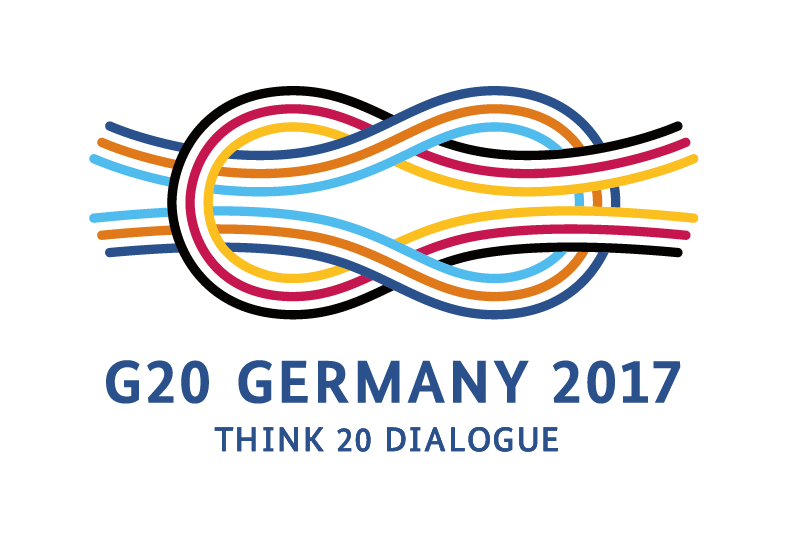 The G20 leaders should live up to their commitment to ‘integrate sustainable development at all levels of trade policy’. This implies the need to integrate sustainable development objectives into domestic G20 growth and investment strategies. At the international level the G20 should underline the significance of sustainable development as a core frame of reference for international trade and investment . This could be achieved through a WTO General Council interpretive statement that calls on WTO practice to interpret and promote trade rules so that they are in line with the 2030 Agenda . In line with SDG 17, the G20 leaders should also renew their commitment to supporting the multilateral trade system. In addition, the G20 should agree to promote trade rules that contribute to supporting the implementation of the 2030 Agenda – for example, by reviving the Environmental Goods Agreement and by fostering duty-free and quota-free market access for LDCs. In the context of bilateral and regional trade negotiations, the G20 members should call for ‘global sustainable development impact analyses’ that are conducted by the negotiating parties when new agreements are being discussed. More generally, the G20 should commit to an open global economy, to curbing protectionism, and strengthening a rules-based, non-discriminatory, and inclusive multilateral trading system with the WTO at the centre . The G20 called its endorsement of the G20 Guiding Principles for Global Investment Policy Making a ‘landmark’ event. However, the G20 principles exhibit a number of deficiencies . For example, the G20 principle No. VIII places the burden of ensuring private investors’ observance of best practices and respect for human rights on host governments, while the UNCTAD Investment Policy Framework on Sustainable Development, with its 10 principles, calls for a balance between investor rights and their obligations. The G20 principle No. II emphasizes a conducive environment for investment, stating that ‘investment policies should establish open, non-discriminatory, transparent and predictable conditions for investment’, whilst the UNCTAD framework points out that openness of investment policy should be in line with each country’s growth or development strategy. The G20 has also worked with the Organisation for Economic Co-operation and Development (OECD) on High-Level Principles on Long-Term Institutional Investment (LTII), which has been key for boosting investment from billions to trillions in the developing world. Sustainable development concerns should play a more prominent role than they currently do, both in the context of the G20 Guiding Principles for Global Investment Policy Making and in the context of the High-Level Principles on LTII. Policy coherence for sustainable development will be crucial for achieving progress with regard to the Paris agreement because effective climate policies have real impacts on the economy at large as well as on individual sectors (e.g. agriculture, forestry, energy, and transport). Interlinkages between climate policies with various other SDGs need to be considered and understood. Obviously, most climate policies are directly related to energy issues (SDG 7: universal access to modern energy, the promotion of renewable energy, and energy efficiency). Energy use, in turn, is not only crucial for economic development (SDG1, SDG 8) but is also the main driver of greenhouse gas emissions and thus climate change (SDG 13). There are ongoing debates about the costs and (co-)benefits associated with the transformation of energy systems towards low-carbon systems based on renewable energy. Many studies have highlighted the potential positive effects of climate protection measures on economic growth through the reorientation of growth paths towards ‘low-carbon development’  . In particular, the potential of decentralized energy systems that rely on renewable energy sources is crucial to providing universal access to energy and creating win-win situations in the fight against poverty, climate change, and environmental degradation (SDGs 14, SDG 15). Coherent policies for sustainable development will harness such win-win situations and also address potential risks of climate policies, such as adverse effects on poverty through higher (energy) consumption prices, lower wages, and unemployment. Addressing these risks is essential since they prevent governments from acting . Further, the risks are not equally distributed across different households and different firms (see 12 for the cases of Mexico and Indonesia). Coherent sets of policies should address these risks by identifying mitigation actions with co-benefits (in terms of other SDGs) and complementing mitigation policies with policies that explicitly address risks and, in particular, compensate losers. Win-win situations can also be created between trade and climate policies According to an analysis, around a quarter of all nationally determined contributions (NDCs) include specific trade elements that are geared towards fostering mitigation . The G20 countries, however, do not tend to be among them. The next step following the G20’s initiative to end fossil fuel subsidies should be putting a price on carbon in G20 member states. Without major changes in the relative price of fossil fuels vis-à-vis renewable energy sources, progress on decarbonising the world’s energy systems is highly unlikely. To overcome the political costs of effective carbon pricing, particularly in many middle-income economies, domestic policy responses should emphasize clever and explicit revenue recycling – for instance, taxing carbon can raise domestic tax revenue and provide resources for combating inequality and poverty. The G20 should recommend inclusive carbon pricing mechanisms and also initiate a process aimed at devising instruments that support member states and non-member developing countries to implement effective carbon taxes (e.g. by topping up carbon tax revenues). Such initiatives could be brought forward under the umbrella of the partnership on NDCs, which was established at the Marrakech climate conference – a partnership the G20 should actively support. There is substantial potential for a stronger emphasis on trade elements in the Nationaly Determined Contributions (NDCs) of G20 member states– for example, by lowering trade barriers for renewable energy equipment. The G20 leaders should thus strengthen climate-friendly trade elements in their NDCs under the Paris agreement. Moreover, the G20 should foster (i) mutual supportiveness of the trade and climate regime (e.g. through legal guidance)  and (ii) coherent interaction between the trade and the climate regimes (e.g. by demanding better coordination and exchange of information on NDC implementation between existing bodies in the WTO and in the United Nations Framework Convention on Climate Change (UNFCCC)). The envisaged partnership with Africa puts a strong emphasis on raising public investment and mobilizing private capital for African development. One of the basic ideas is that African countries develop proposals for individual compacts which get approval if certain criteria are met. While the focus of the compacts on investment is welcome, they should not exclusively rely on economic and financial criteria, but rather be coherent compacts for sustainable development in Africa. In our view the to-be-defined partnership with Africa should make explicit reference to both the African Agenda 2063 and the 2030 Agenda. In the context of a partnership two general issues stand out with regard to G20 actions: First, Africa and its interests are not well represented in the G20. It will be impossible to generate the required backing for and sense of ownership of the partnership measures and instruments if this challenge is not systematically addressed by the G20. Second, the success of any scaled-up G20 reforms and efforts, in particular with regard to increased investment, is conditional on reforms and policy changes by African states. The G20 has to cooperate with African states in ways that can help facilitate these necessary reforms. Despite the importance of domestic reforms in African countries, there is scope for effective G20 policy actions to overcome policy incoherence. This applies, in particular, to the instruments and modalities of leveraging private investment from G20 countries as well as to multilateral and bilateral trade policies towards Africa. Failing to pay attention to policy coherence when scaling-up public (and private) investment can render such efforts wasteful, particularly investment in agriculture and energy. We argue that there are very good reasons to prioritize sustainable investments in these two sectors – acknowledging, of course, differentiated country needs. In large parts of Africa extreme poverty and hunger will remain a predominantly rural phenomenon for some time to come. To end rural poverty and hunger (SDG 1, SDG 2), sustained increases in agricultural productivity will be indispensable (SDG 2). Africa exhibits a large gap between current yields and maximum attainable yields, which points to untapped production potential. At the same time, however, Africa is suffering from declining agricultural yields due to climate change. Although, smallholders as bearers and mitigators of food security risks will have to be the focus of interventions (see also the T20 policy brief ‘Key Policy Actions for Sustainable Land and Water Use to Serve People’), a major force of structural change in rural Africa – for good and for bad – are large-scale agricultural projects with major international investors such as the United States, China, Brazil, the United Kingdom, Saudi Arabia, India, and other G20 member states (16). Finally, both small-scale and large-scale agricultural activities exhibit important interlinkages with the environment, which have to be taken into account when making investment decisions. This is because agriculture is a key user of natural resources (targets 6.4, 12.2 and 12.3), in particular water (SDG 6) and land resources (SDG 15) and an important provider of environmental services, like carbon sequestration (SDG 13) or watershed management (SDG 6). A simple and key argument for prioritizing investment for sustainable energy is that large parts of Africa could, in principle, embark on a ‘low-carbon development’ path without having to replace the existing infrastructure (see T20 policy brief ‘Towards a comprehensive approach on climate policy and finance’ for details). However, using this window of opportunity to address Africa’s severe energy shortages (thus addressing SDG 7) without increasing greenhouse gas emissions is not without challenges. Compared to fossil fuel–based technologies, low-carbon technologies are more capital intensive and therefore affected by higher investment risks and financing costs (see also the T20 policy brief ‘The G20’s role in improving quality of life through sustainable energy infrastructure and cities in Africa’). These risks and costs tend to be exacerbated in Africa. To address the challenge of improving the representation of African interests in the G20, and in line with the communiqué of the T20 Africa Conference ‘Africa and the G20: Building alliances for sustainable development’, we strongly support the need to better integrate Africa and African perspectives into the various work streams across the G20 beyond the Development Working Group. To achieve this improved integration G20–Africa cooperation should start with very specific and implementable initiatives of joint interest. This includes, in particular, joint efforts to increase sustainable investment, which should then be sustained and expanded into a more broad-based engagement. Drawing on African think tanks’ expertise, a specific G20 knowledge centre could be created among the pan-African organizations in order to more systematically prepare and support Africa’s engagement with the G20 via the observer seats held by the annually rotating chair of the AU and the chair of the Heads of State and Government Orientation Committee of the New Partnership for Africa’s Development (NEPAD). A G20 partnership with Africa should emphasize investment in sustainable agriculture and energy. These investments should seek to minimize resource use and protect the environment and the climate. They should be aligned with international, continental, and national plans – including Agenda 2063, the 2030 Agenda (and national implementation plans), and the Paris agreement (and NDCs) – because the call for a large-scale investment programme in Africa carries the risk that these efforts primarily follow a logic of large-scale project funding. On the one hand, the focus on large-scale projects alone may (partially) bypass smallholder agriculture and decentralized energy systems; on the other hand, without paying attention to policy coherence and climate resilience, large-scale projects may be wasteful. Investing in renewable energy is wasteful without ‘getting the prices right’ through fuel subsidy removal and carbon pricing – while paying attention to distributional and poverty concerns (see our proposal above). In addition,distributional and poverty concerns should be incorporated into (see our proposal above). Likewise, investing in agriculture and (world) market integration of farmers is wasteful without getting the trade and investment regimes in order. We therefore strongly advise that the policy conditions under which investments are being undertaken and planned are linked to policy coherence requirements. In both the energy and the agricultural sector there is substantial scope for leveraging private capital. However, unleashing private capital in the context of weak governance bears great risks. The massive expansion of commercial agriculture at the expense of tropical rainforests in South America and South East Asia is possibly the most striking evidence of this; such mistakes should not be repeated in Africa. Therefore, potentially adverse ecological and socio-economic effects should be curbed by using instruments that condition investment guarantees (or similar risk-reducing instruments) on compliance with international standards. As noted above, the G20 Guiding Principles are insufficient because they place excessive emphasis on host country obligations. This argument holds even more strongly for the weak governance environments that prevail in many African countries. Infrastructure investments in these areas therefore require complementary actions. African economies face an uncertain trade policy environment beyond their control at multiple levels – be it at the multilateral level or vis-à-vis individual G20 member states or the European Union. This harms not only trade but also investment flows. When G20 member states negotiate risk-reducing instruments to leverage private investment, on the one hand, they generate considerable risks to investment in Africa and trade relations with African countries, on the other. This incoherence needs to be addressed, ideally by a firm commitment by G20 leaders to a predictable trade regime for African economies and trade rules that foster sustainable development. For instance, G20 members’ preferential regimes should be reformed with the aim of focusing the benefits on the countries that need trade preferences the most. Moreover, the coordination of bilateral and regional trade negotiations should be improved. The (above-proposed) task force to discuss G20 member states’ trade agreements with developing countries should focus on agreements that are relevant for African countries. Having put the spotlight on ‘strengthening G20 coherence and coordination on sustainable development’ in the Action Plan on the 2030 Agenda, the G20 leaders should work towards delivering on their commitments. This should entail coherent sets of policies rather than specific contributions in selected SDS. Examples of this would be (i) a coherent partnership with Africa that does not base investment decisions on economic and financial criteria alone and (ii) the explicit incorporation of compensation measures in policy proposals on carbon pricing. Designing such coherent policy sets requires an improved understanding of the interlinkages that underlie the complex multidimensional impacts of policies. Furthermore, governance structures – including those of the G20 – need to able to absorb such knowledge and implement it. Overall, the G20 set-up – which has separate finance and Sherpa tracks (and a separate ‘sustainability’ working group) – makes it difficult to foster policy coherence and should be reconsidered. A reformed G20 system should place more emphasis on intertrack and inter–working group structures. In addition, as indicated in the Action Plan, the G20 Sherpa meetings should receive a reinforced mandate in order to strengthen policy coherence. This revised mandate would task the Sherpas, in cooperation with the finance deputies, with ensuring coordination across work streams and dialogue between working groups on activities that link to the 2030 Agenda. Looking forward, the Development Working Group (DWG) could play a key role in advancing a shared definition of policy coherence for sustainable development across G20 members, G20 guests, and work streams based on the operationalisation of the 2030 Agenda at national levels. The DWG, as envisaged in the Action Plan, should support Sherpas in driving G20 activities that are related to the 2030 Agenda and serve as a ‘coordinating body and policy resource’ for the 2030 Agenda across the G20. The G20 should promote visibility of the actions it has agreed to undertake to foster the implementation of the 2030 Agenda. Instead of generating long lists of actions under each SDS, we recommend highlighting key priority actions that stand out in terms of their potential impact in the context of the 2030 Agenda and with regard to improving coherence. Moreover, policy coherence should be made an explicit theme of reporting and review processes. All these measures would not only facilitate transparency, strengthen follow-up processes and implementation by G20 leaders and G20 engagement groups; they would also improve coherence across G20 activities. In light of the integrated and indivisible nature of the 2030 Agenda, the exchange of good practices among G20 members and peer-learning mechanisms in the context of the implementation of the 2030 Agenda should include a focus on policy coherence for sustainable development that acknowledges the trade-offs and synergies among goals and targets. Further, the G20 should strengthen cooperation with G20 engagement groups such as B20, C20, L20, T20, and W20 in order to discuss their roles in fostering policy coherence for sustainable development and their contributions to the implementation of the 2030 Agenda. Incorporating interlinkages should be mainstreamed into knowledge creation activities – for example, in commissioned research and evaluations as well as knowledge management. To reform its set-up, the G20 can look at ongoing research into interactions across all goals and targets through a more systematic assessment. This research can support decision-makers tasked with planning SDG actions to understand and account for the systemic effects of how targets interact and thereby guide priority-setting, strategic planning, and cross-sectoral partnership-building to enhance the effectiveness of implementation strategies. The content of this policy brief is the responsibility of the authors. We thank for helpful discussions with the members of the Task Force and specifically for comments by: Mehmet Arda (EDAM), Julia Leininger (DIE), Gala Diaz Langou (CIPPEC), Adolf Kloke-Lesch (SDSN), Manuel Montes (South Centre). 2. The T20 Task Force on 2030 Agenda for Sustainable Development is co-chaired by Imme Scholz (DIE, Bonn, Germany), Chen Dongxiao (SIIS, Shanghai, China) and Jann Lay (GIGA, Hamburg, Germany). The T20 Task Force on the 2030 Agenda drafted policy briefs on three systemic questions related to the implementation of the 2030 Agenda that underline its innovative features, and that are also in the focus of the G20 when driving forward implementation and specification of the Action Plan: The implementation of the 2030 Agenda in G20 countries, policy coherence and the role of international cooperation. Members of the Task Force are: Members of the Task Force are: Tony Addison (UNU-WIDER, Finland), Elena Agüero (Club of Madrid, Spain), Nancy Alexander (Heinrich Böll Foundation, USA), Venkatachalam Anbumozhi (Economic Research Institute for ASEAN and East Asia / ERIA, Indonesia), Francisco Andrés (Real Instituto Elcano, Spain), Mehmet Arda (EDAM, Turkey), Nils aus dem Moore (Rheinisch-Westfälisches Institut für Wirtschaftsforschung, Germany), Belay Begashaw (SDG Center Africa, Rwanda), Tom Bigg (IIED, United Kingdom), Colin Bradford (Brookings, USA), Clara Brandi (German Development Institute / DIE, Germany), Ingo Bräuer (Potsdam-Institut für Klimafolgenforschung (PIK), Germany), Celine Charveriat (IEEP, Belgium), Andre Coelho (FGV, Brazil), Aart De Geus (Bertelsmann Stiftung, Deutschland), Gala Diaz Langou (CIPPEC, Argentina), Carlos Dominguez (Instituto Mora, Mexico), Matthew Doherty (Sovereign Strategy, UK), Edna Martinez (UNDP Mexico, Mexico), Paulo Esteves (BRICS Policy Center, Brazil), Güven Sak (TEPAV, Turkey), Alejandra Kern (CARI, Argentina), KIM Heungchong (Korea Institute for International Economic (KIEP), Korea), Richard Klein (SEI, Sweden), Daniel Klingenfeld (Potsdam-Institut für Klimafolgenforschung (PIK), Germany), Adolf Kloke-Lesch (SDSN, Gemany), Christian Kroll (Bertelsmann Stiftung, Germany), LI Yuefen (South Centre, Switzerland), Faith Mabera (Institute for Global Dialogue, South Africa), MAO Risheng (IWEP, China), Thomas Mättig (FES, Germany), Ali Mehdi (Indian Council for Research on International Economic Relations (ICRIER), India), Suguru Miyazaki (Kyoto University, Japan), Manuel Montes (South Centre, Philippines), Konar Mutafoglu (IEEP, Belgium), Philani Mthembu (Institute for Global Dialogue, South Africa), Shingirirai Mutanga (Human Sciences Research, South Africa), Archna Negi (Jawarharlal Nehru University, India), Andrew Norton (IIED, United Kingdom), Iliana Olivié (Real Instituto Elcano, Spain), Yulius Purwadi Hermawan (Catholic University Jakarta, Indonesia), Ortwin Renn (IASS, Germany), Sachin Chaturvedi (RIS, India), Jeffrey Sachs (SDSN, USA), Hubert Schillinger (FES, Germany), Guido Schmidt-Traub (SDSN, France), Ole Jacob Sending (NUPI, Norway), Aniket Shah (SDG Center Africa, Africa), Jose Siaba Serrate (CARI, Argentina), Elizabeth Stuart (ODI, United Kingdom), Ulf Sverdrup (Norwegian Institute for International Affairs / NUPI, Norway), Rainer Thiele (IfW, Germany), Ram Upendra (Research and Information System for Developing Countries, India), Rebecka Villanueva Ulfgard (Instituto Mora, Mexico), Martin Visbeck (Geomar, Germany), XU Qiyuan (IWEP, CASS, China), XUE Lan (Tsinghua University, China), YANG Qingqing (Renmin University of China (RDCY), China), YE Jiang (SIIS, China), YU Hongyuan (SIIS, China), ZHANG Haibing (SIIS, China), ZHOU Taidong (DRC, China), ZHU Jiejin (Fudan University, China), Siphamandla Zondi (Institute for Global Dialogue, South Africa). UNEP (2015): Sustainable Trade and Investment. Achieving the Sustainable Development Goals, UNEP: Geneva. Berger, Axel / Clara Brandi (2016): The G20 and the future of the global trading system. Briefing Paper 10. German Development Institute /Deutsches Institut für Entwicklungspolitik (DIE). Esty, Daniel (2016): A Proposed G20 Initiative for the International Trade and Investment Regimes on Sustainable Development and Climate Change, E15Initiative. Geneva: International Centre for Trade and Sustainable Development (ICTSD) and World Economic Forum. See also the recommendations by the T20 Task Force on Trade and Investment. Fay, Marianne; Hallegatte, Stephane; Vogt-Schilb, Adrien; Rozenberg, Julie; Narloch, Ulf; Kerr, Tom. 2015. “Decarbonizing Development: Three Steps to a Zero-Carbon Future.“ Climate Change and Development. Washington, DC: World Bank Publications. Jakob, M., Steckel, J.C., Klasen, S., Lay, J., Grunewald, N. Martínez-Zarzoso, I., Renner, S. Edenhofer, O. (2014). Feasible Mitigation Actions in Developing Countries. Nature Climate Change, 4(11), pp. 961-968. Brandi, C. (2017): Trade Elements in Climate Contributions under the Paris Agreement, ICTSD: Geneva. Bacchus, J. 2016. “Global Rules for Mutually Supportive and Reinforcing Trade and Climate Regimes,” International Centre for Trade and Sustainable Development (ICTSD) and World Economic Forum. E15 Expert Group on Measures to Address Climate Change and the Trade System. Geneva. Dröge, Susanne, et al. 2016. “The Trade System and Climate Action: Ways forward under the Paris Agreement: Climate Strategies”. Building on the ‘G20 Action Plan on the 2030 Agenda for Sustainable Development’, one main objective of the German G20 presidency is to ‘make progress on realising the goals’ of the 2030 Agenda. This policy brief argues that policy coherence is essential in order to implement the G20 Action Plan and to achieve the Sustainable Development Goals (SDGs). We recommend that the G20 puts policy coherence for sustainable development (PCSD) at the forefront of its actions and focuses on policy areas where coherent actions can make a difference. Priority should be given to (i) improved coherence in the context of trade and investment policies, (ii) a comprehensive approach towards climate policy that extends beyond climate targets, (iii) these issues in the context of the partnership with Africa, and (iv) the policy coherence set-up within the G20.